Michael Church has spent much of his career in newspapers as a literary and arts editor, and was one of the founding editors of the Independent on Sunday. He is a former television critic of The Times, and since 2010 he has been music and opera critic of The Independent. 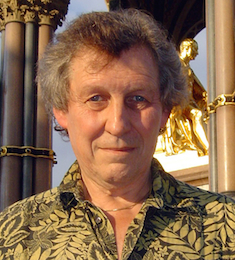 He has made BBC World Service programmes on folk music in many countries; his award-winning field-recordings of the music of Kazakhstan, Georgia and Chechnya were released on the Topic label.